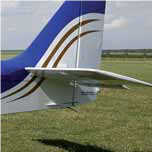 Read this article from The Connexion, about an aircraft which almost took off from a taxiway. – What type of aircraft was it? – What was its destination? – How could the pilot mistake the taxiway for a runway? Read this « In English, please » article published in the May 2014 issue of Info-pilote, entitled « Taxiing around an airport, an orienteering exercise ». The second half of the article is a listening comprehension exercise. Listen to the recording below and find the missing words in the text. – What is the real thing? – In the 21st century, what seems to be the main method of learning? – How much time do Rob and Finn advocate you commit to their course every day? – What are the two tips given by Richard Hallows? The full recording and the script, if needed, are available here. www.bbc.co.uk/learningenglish/ is quite helpful to English learners and while at it, why not take the opportunity to browse through the site and check out their various courses on vocabulary and grammar. Try different word games at www.dictionary.com/fun. You might find them challenging at first, but if you choose the « regular » level, the computer will help you avoid making mistakes and also give hints if you ask for them. single engine A/C; multi engine aircraft; biplanes; monoplanes; rotary wings; seaplanes; gliders; turbojet A/C; lighter than air A/C; power driven A/C; non power driven A/C. If you want the two pages from each section to be displayed side-by-side like in the book, select « View > Page Display > Two Page View » in your PDF reader. – What is it called, who invented it, and when? – What are its characteristics? – In which configurations can the propeller be placed? All numbers and letters have been erased from this script . Listen to the original recordings below and fill in the gaps. One dash corresponds to a number or a letter. Let’s start with a review of some helpful vocabulary used to describe your environment as seen from above : in-flight landmarks. You can click on each word to hear its pronunciation. – What does UP stand for? – Where is it found? – What would be needed to make a proper determination? Read the full script here . The ‘s in English serves 2 main purposes: to show possession or to make contractions. It is alo used to form plurals such as in « the 90’s », but this aspect won’t be discussed today. In this exercise, you’ll have to decide if the ‘s stands for the verbs « have » or « be » in the third person singular (it’s Monday, she’s got the flu), the personal pronoun « us » (let’s go to the movies), or if it’s the mark of possession (Eliot’s newsletter). If you are longing for more, read this article from www.chompchomp.com on the different uses of the apostrophe (not only the ‘s) in English. Typoglycemia is the name given to our ability to understand a sentence even if the words have been scrambled such as in: « yuo’re Albe to Raed Tihs ». – What has the email got right? – In the following examples, why is the first version of the scrambled words easier to read than the second: « porbelm » vs. « pelborm », « toattl » vs. « talot », « aoccdrnig” vs “aocdircng »? Following the Air France A380’s spectacular incident early this week, there has been a lot of talk about aircraft engines, and this seems as good a time as any to check your knowledge on the subject. Start with a review of vocabulary on piston engines. – What is the other name for jet engines? – What is the core of a gas turbine engine? – In a turbofan, what is the bypass air used for? – Why do turboprop engines need a reduction gearbox? And see how they work with another You Tube video. 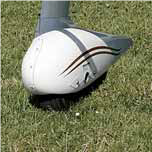 The listening comprehension exercise is going to take you where pilots are not too keen on going: engine failure. Watch this AOPA’s Air Safety Institute video: Engine Out! From Trouble to Touchdown, at first preferably without turning on the subtitles, then listen again to check your comprehension and find the missing words in the transcript of the first half of the video here . If you sign up at www.dictionary.com for their « Word of the Day », you’ll receive a new word each day with its definition, audio pronunciation, origin and more! Most of the time, the words are not the kind you’ll be able to use on a regular basis, but the emails are a daily reminder of the importance of regular practice and they can also be fun to read. One of last week’s words was « pangram ». Let’s finish Practice Paper #5 with a game: try to find a pangram on an aviation theme and send your result(s) to d_defossez@orange.fr . They will all be published in a newsletter to come! Have fun and I hope I’ll be hearing from you soon! From Typhoon Hato, in Hong Kong and South China at the end of August, to hurricanes Harley, Irma, Jose, and Maria in the Carribean Sea in September, there has been a lot of talk these past few weeks about severe – even extreme – weather. But do you know the difference between a hurricane and a typhoon? Do you know the definition of a tornado, a waterspout, or a gustnado? in this grid: severe weather wordsearch. Pick out the words from left to right, top line to bottom line. Words can go horizontally, vertically and diagonally in all eight directions. When you are done, the unused letters in the grid will spell out a hidden message. Read more about these phenomena on Eurocontrol’s Skybrary Weather Portal. – When do hurricanes that impact the US develop? – In the Northern Hemisphere, how do cloud masses rotate? Why? – What immediately surrounds the eye of a hurricane? – When does a hurricane die? Let’s delve into the mystery of asking questions with “How”, a very useful three-letter word! – Use How to introduce questions: How was your flight? How do you do that? – Use How to get information about numbers and quantities, for example to find out about age, size, length, … : how old, how long, how big, how often? – Use How much to ask about cost. Also use How much with uncountable nouns. – Use How many to ask about countable nouns. – Use How in exclamations before adjectives, adverbs and verb phrases: How nice! How odd! How funny! – Use How about + noun phrase and How about + -ing form in informal speech to make suggestions: how about going to the movies? Let’s check your understanding with this short exercise. 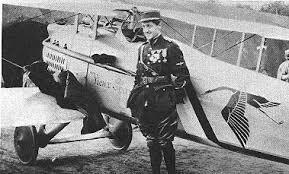 A hundred years ago this month, on September 11th 1917, the WWI flying ace Georges Guynemer disappeared during a mission over Belgium. His death was officially announced on September 25th. – How old was he when he died? – How many victories did he achieve over enemy planes? – How was his aircraft called? – Where is it kept now? – What mottos is he famous for? Check your knowledge of airport-related vocabulary, along with each word’s pronunciation. Listen to the recording and find the missing words in the text here: Airport shutdowns. One dash is a word. There: within this word is another word: here. There usually represents a place. Very often, if you can substitute here in place of there, you’ve used it correctly. Their: this is a possessive pronoun. If you can replace their with our and the sentence still makes sense, you’ve used it correctly. They’re: among these three words (there, their, and they’re), this is the only one that is a contraction. It’s an abbreviation for they are. If you can put they are in place of they’re, you used the right word. Let’s put your knowledge to the test: There, their and they’re . 1 – What are the usual answers to the border guard question? 2 – What is an open-ended question? 3 – What is the opposite of an open-ended question? 4 – What is the meaning of “deadpan”? 5 – Why is the traveler who is posting the story delayed? 6 – How long is the flight from Edmonton delayed? 7 – What does “get tasered” mean? Find the anagram for the following five words : seat, thorn, sore, stew, shout. Then find the odd one out. Find 31 weather-related words, then transfer the letters to the crypted line at the bottom according to matching numbers to discover a very well-known English idiom. – What is frequency 125.55 for? – What is frequency 118.7 for? – Why is runway 7/25 closed? – How are the PAPIs on runway 21 functioning? Let’s start a review of the different prepositions, starting with « at » and « to », here. At, http://www.metoffice.gov.uk/binaries/content/assets/mohippo/pdf/9/k/getmet_2015_final.pdf you’ll access a leaflet published by the British equivalent of Meteo France, where you can find, in English, everything you need to know about the weather. The telephone numbers of the UK’s main airports ATIS are also available towards the end of the leaflet. Very useful for practice! What is the phone number for Southampton ATIS? 1 – Start with this word game to warm up your brain and switch it into English mode. 2 – It will be followed by a review of aircraft-related vocabulary as well as its pronunciation. 4 – Then, keep up the good work with some easy grammar. 5 – Last, but not least, this reading comprehension exercise, in the form of an article from The Connexion, will take you to Roissy and Orly. How long can passengers have to wait at border checkpoints? What has exacerbated the problem? According to the head of the border police, what is just not possible?